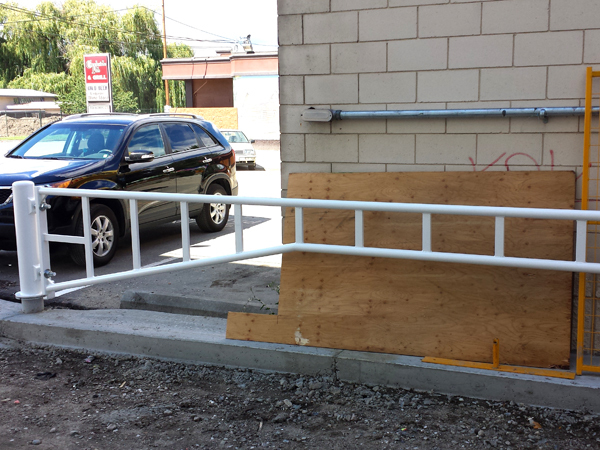 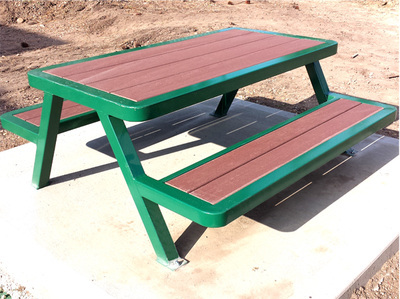 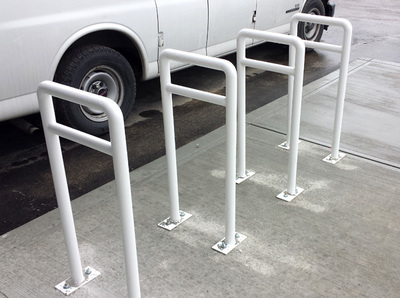 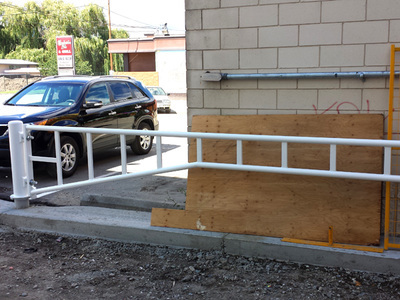 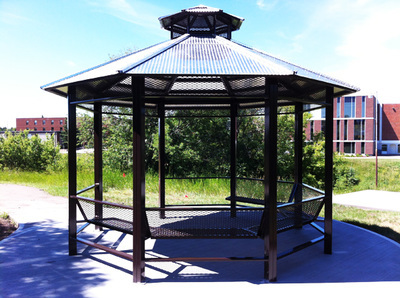 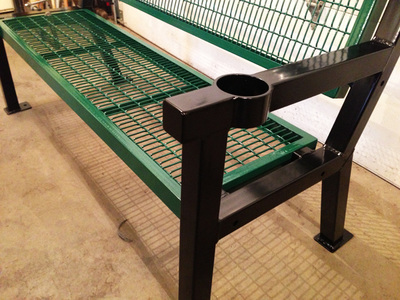 In addition to our bike racks, Rinas Fabrications also manufactures steel Tables, Benches, Gazebos, and Bollards. 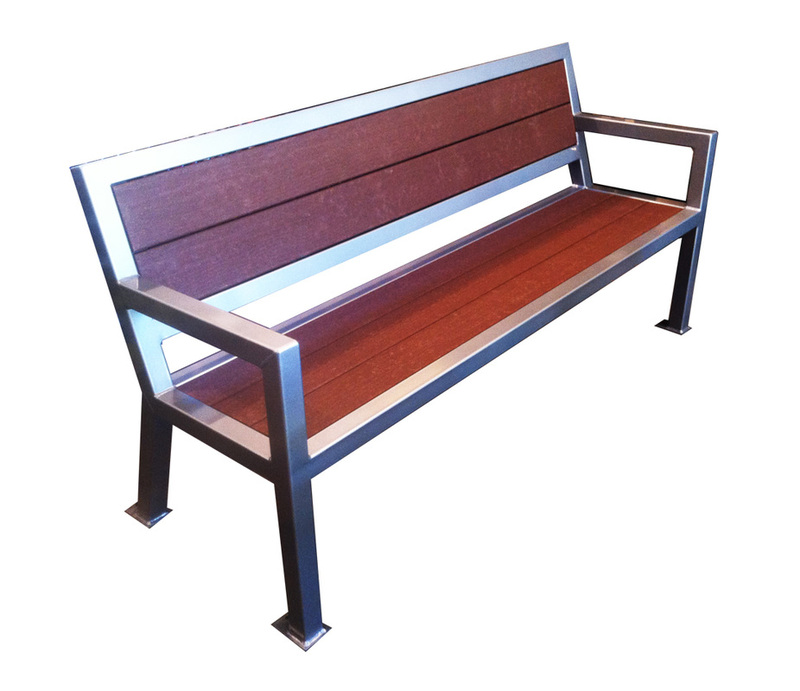 All of these products are also fabricated from steel for durability. 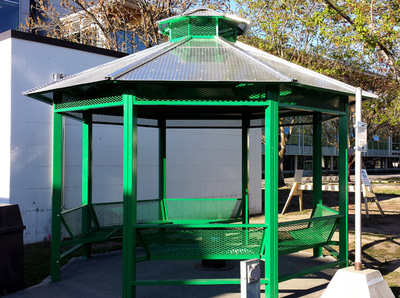 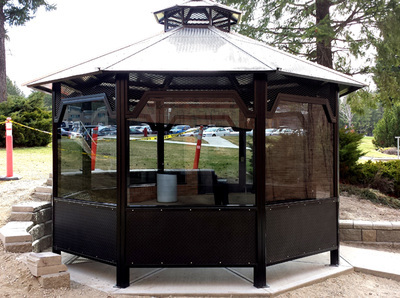 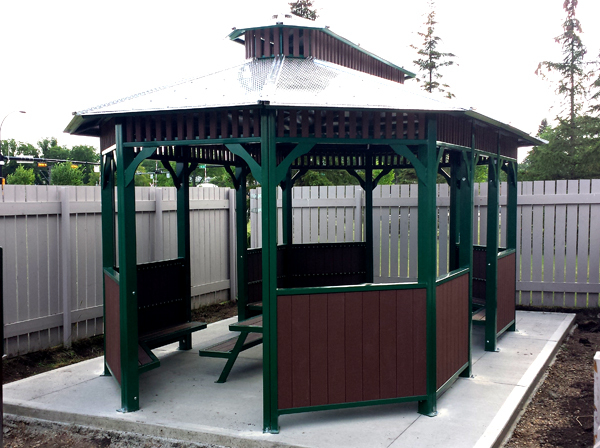 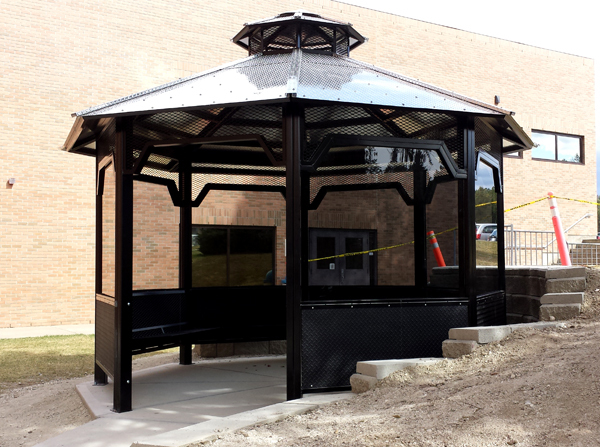 The Gazebos, Benches, and Tables can be ordered with either moisture shield lumber or wire mesh for the seating areas. 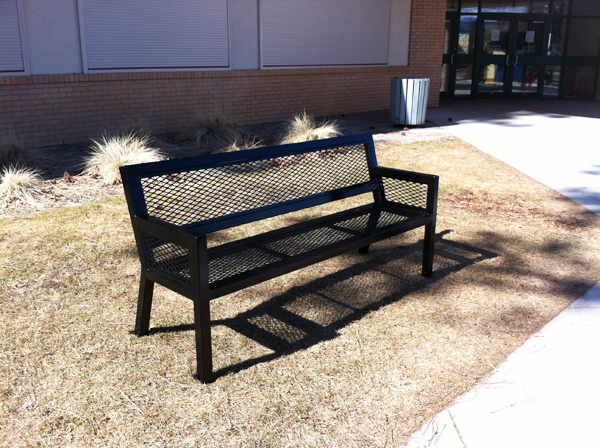 (The wire mesh may help to hinder graffiti damage in certain environments). 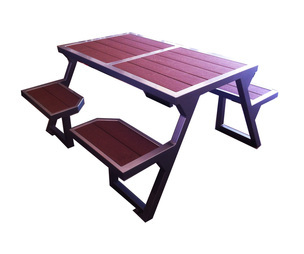 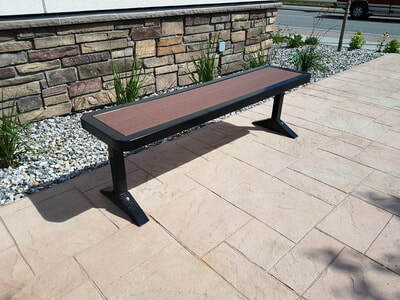 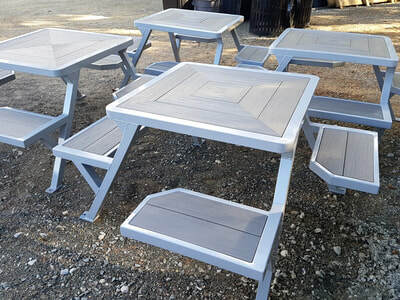 Several option are available for each product for customization, such as square style tables, walk-through gazebos, and wheelchair accessible designs, etc. 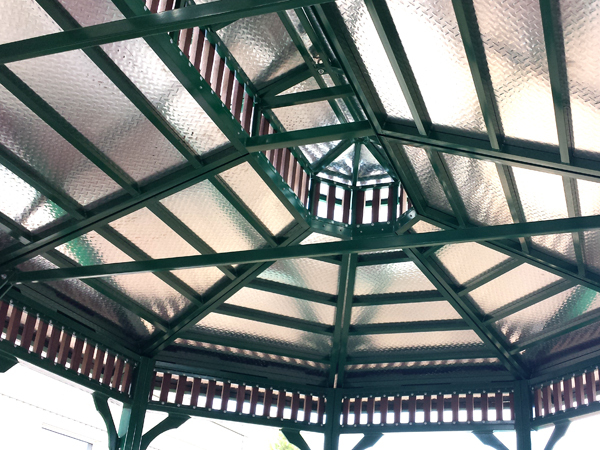 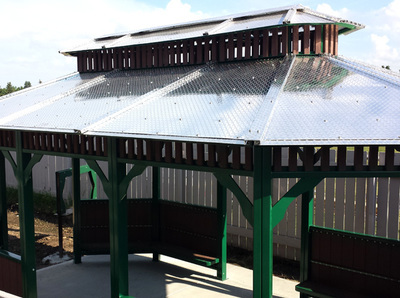 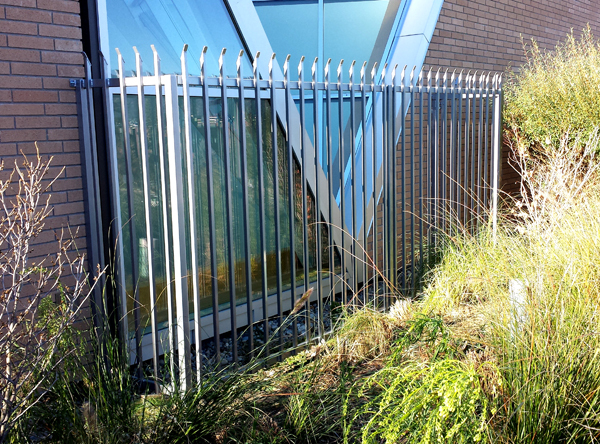 Complete steel design with diamond checkered aluminum roofing. 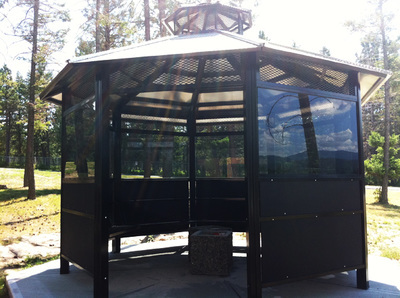 Several styles available, including "glass and panel" and "walk-through" design. 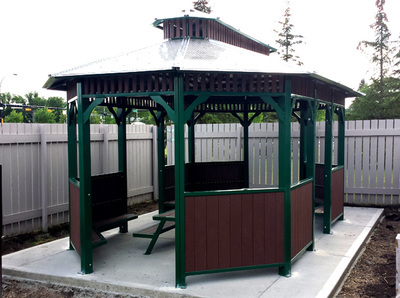 10-14 person capacity. 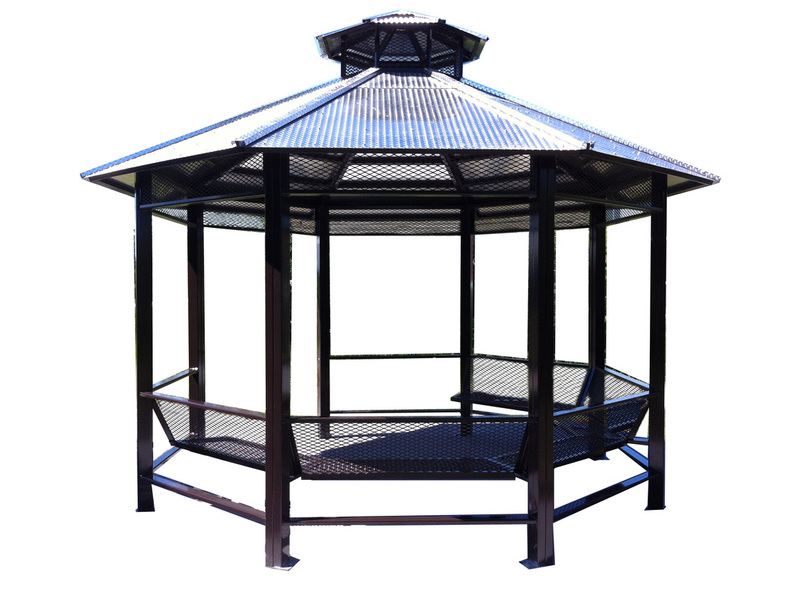 Rinas Fabrications will deliver and completely install gazebos at your location. 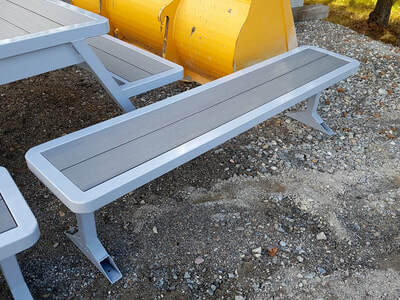 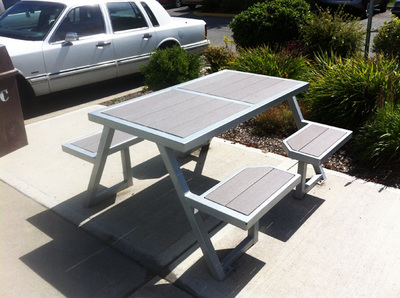 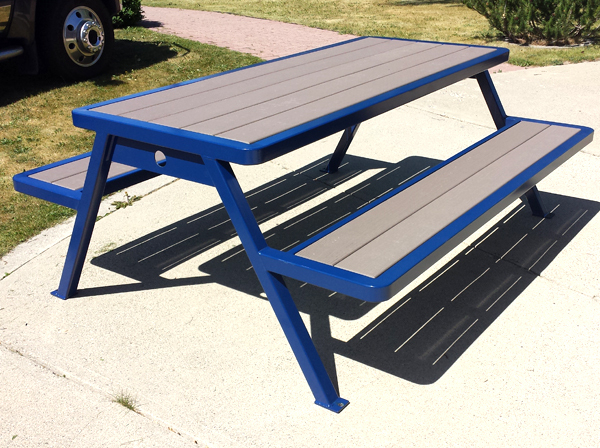 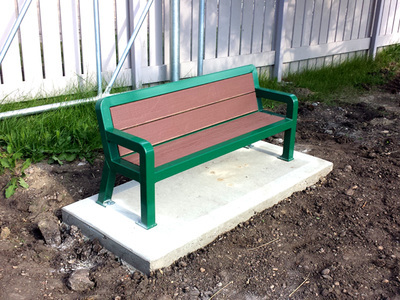 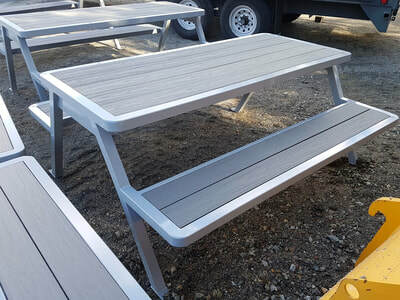 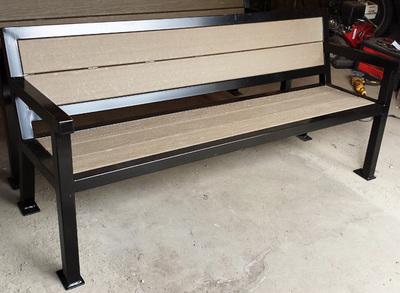 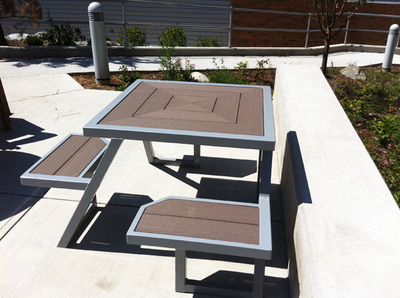 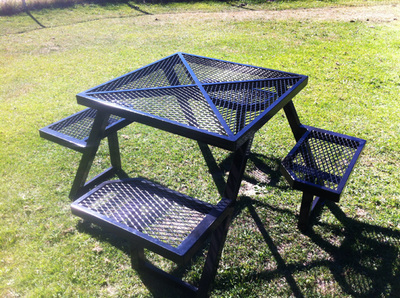 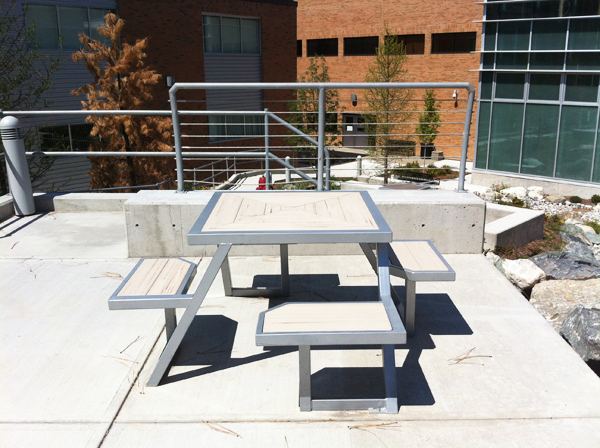 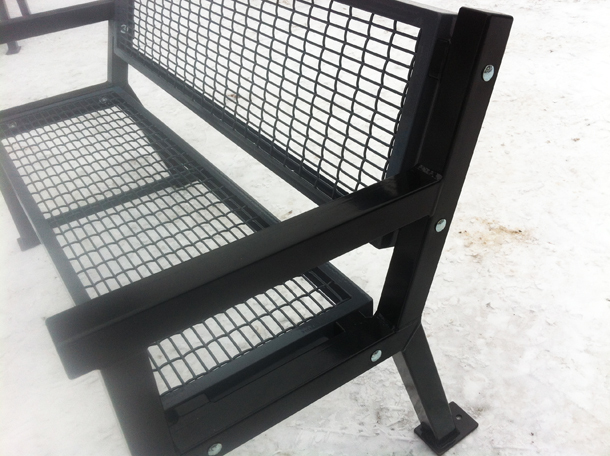 Steel frame with moisture shield lumber seating/tabletop. 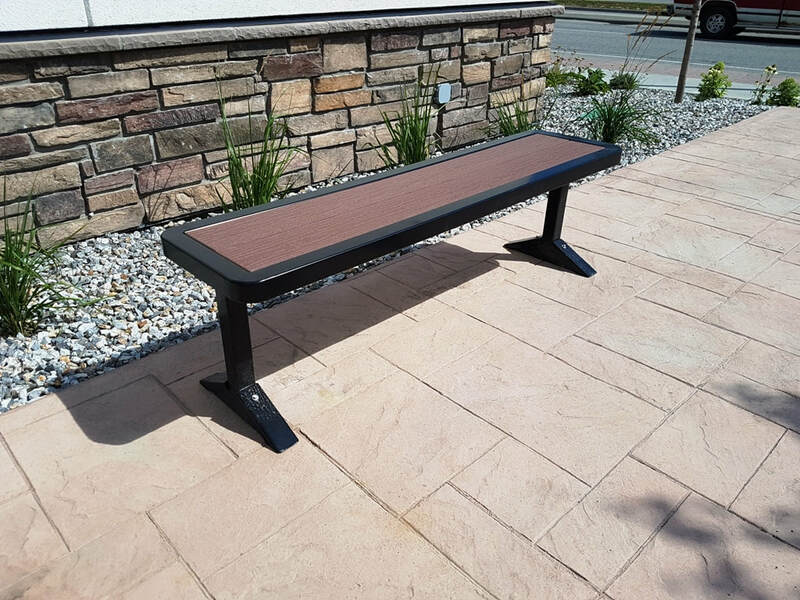 Available in either "square" or "rectangle" design, and two separate seat styles: "walk-in" or "standard"
Steel frame with either wire mesh or moisture shield lumber seating. 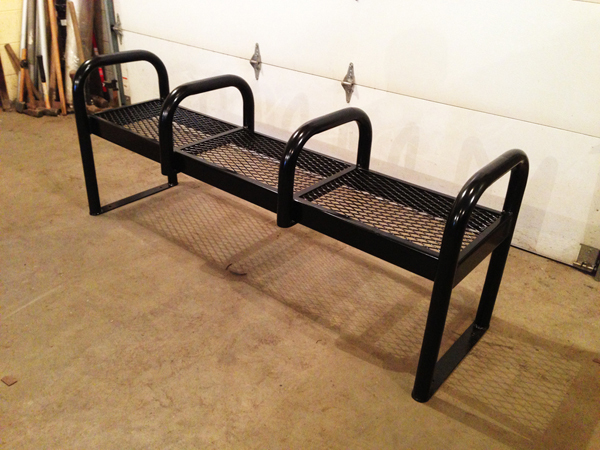 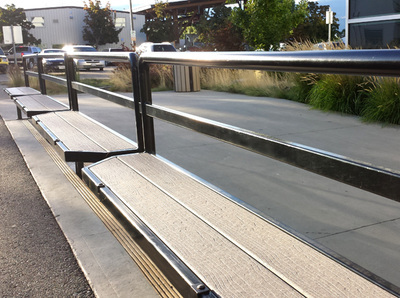 Several options available for customization, including: seat dividers, cup holder arms, and custom lengths. 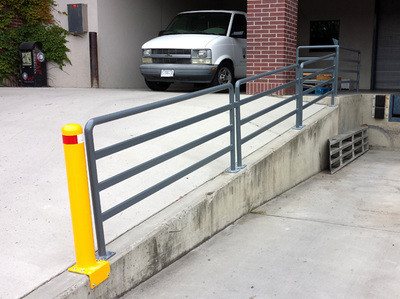 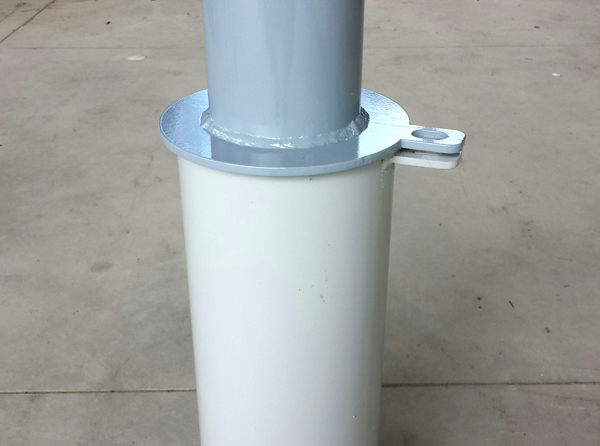 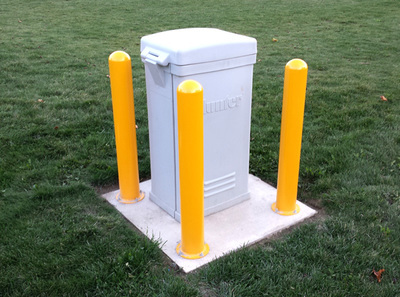 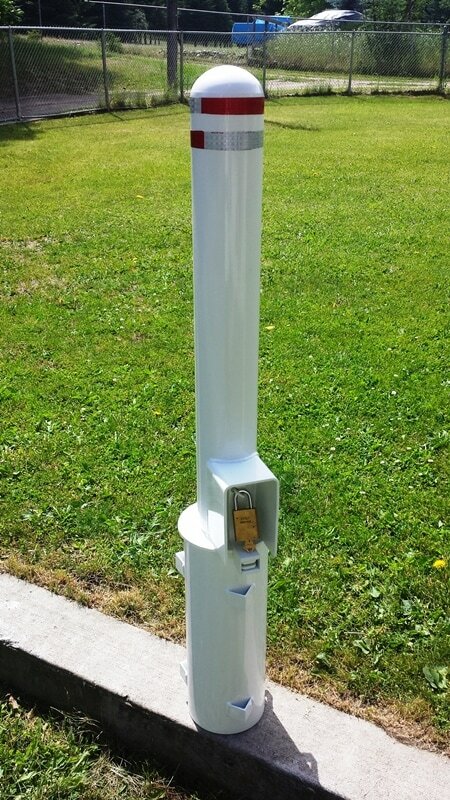 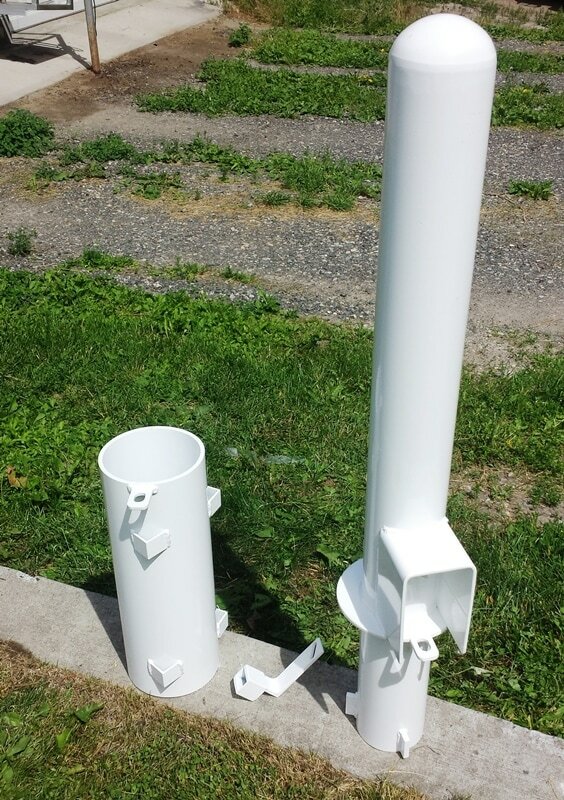 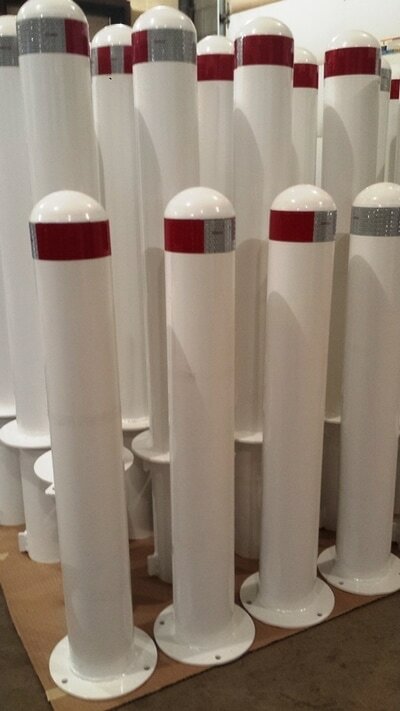 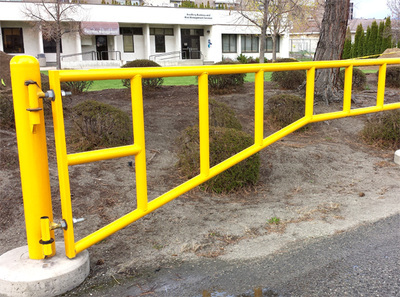 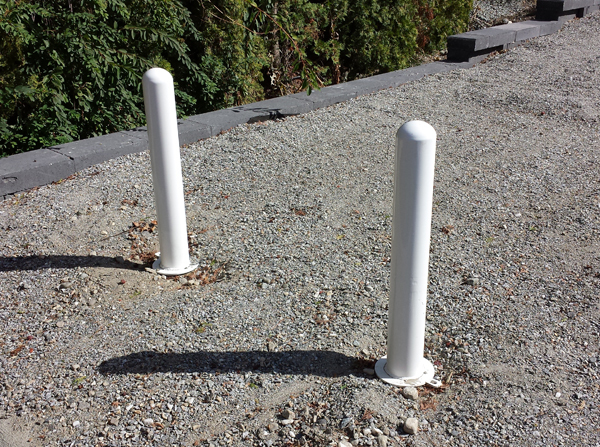 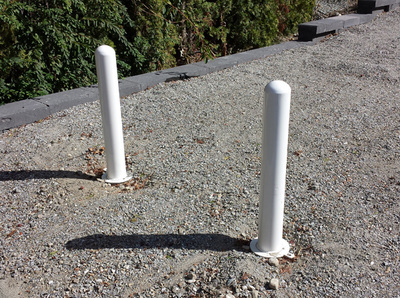 Stationary or fully removable 4" restriction posts. 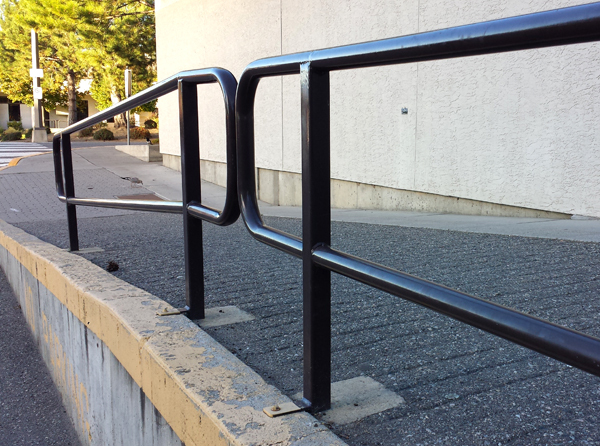 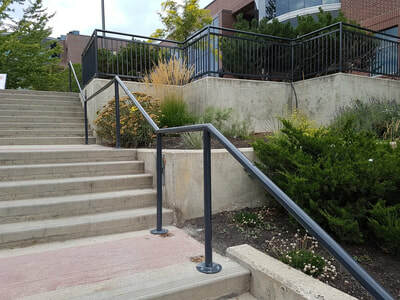 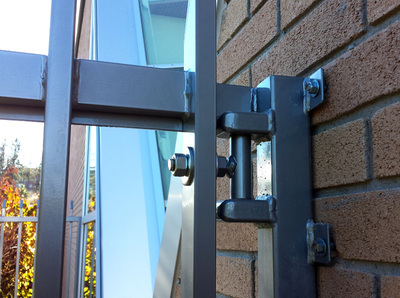 Fabricated as per the MMCD standard detail drawing for municipal use. 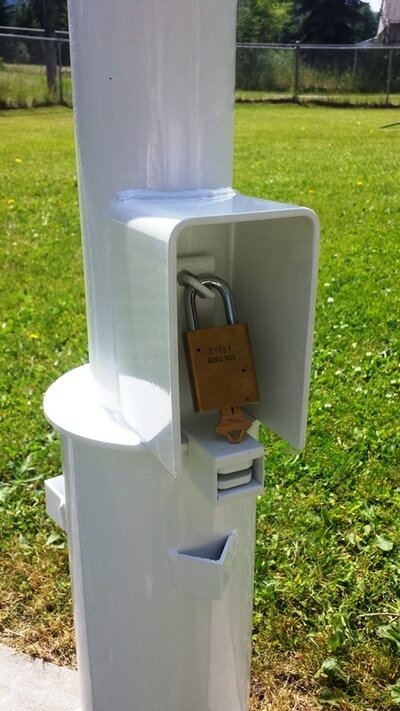 Available with raised lock enclosure.